Insight technology features an adaptive infrared sensor that gathers and analyzes the surrounding area upon installation. After recording these details, Insight calibrates the sensor to filter false triggers and optimize the faucet's operation. The KOHLER hybrid energy system is a first-of-its kind 30-year power solution for touchless faucets. When combined with Insight Technology, this system provides an environmentally-friendly, virtually maintenance-free electronic faucet. Made from premium materials that withstand high-volume usage, the Greenwich wall-mount lavatory is an ideal choice for commercial applications. 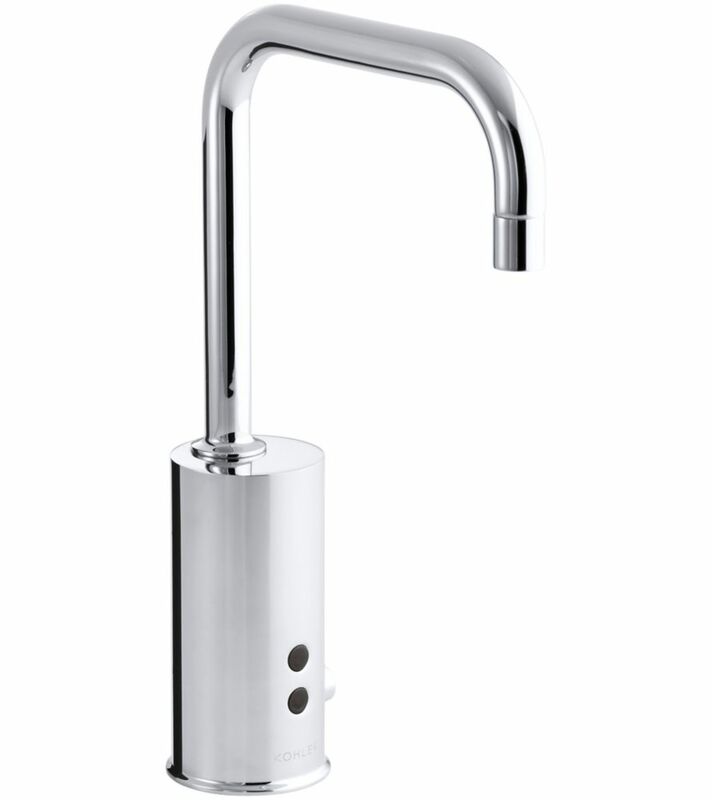 This model features a single-hole faucet drilling, a sealed overflow for commercial and hospital jobs, and wall hanger. Gooseneck single-hole Touchless(TM) DC-powered commercial faucet with Insight(TM) technology Insight technology features an adaptive infrared sensor that gathers and analyzes the surrounding area upon installation. After recording these details, Insight calibrates the sensor to filter false triggers and optimize the faucet's operation.